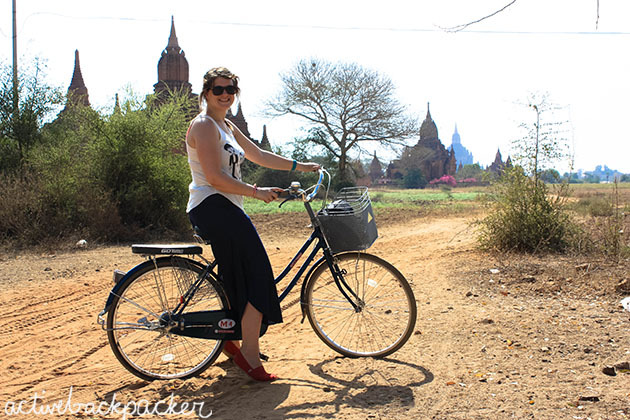 In this week’s post, Trudy and I take you through the ancient and incredible city of Bagan in Myanmar, we travelled there earlier this year and had some wonderful experiences. 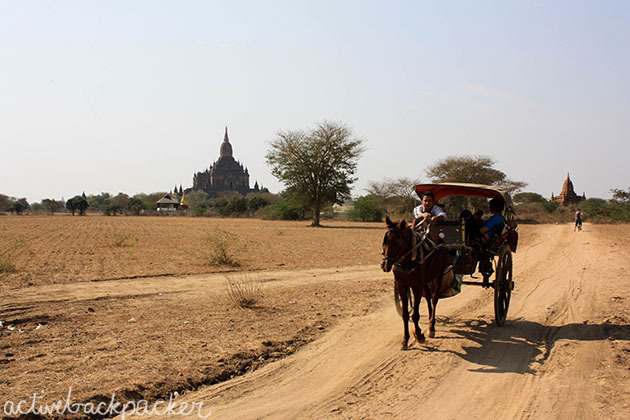 Bagan was one of my favourite places in South East Asia. 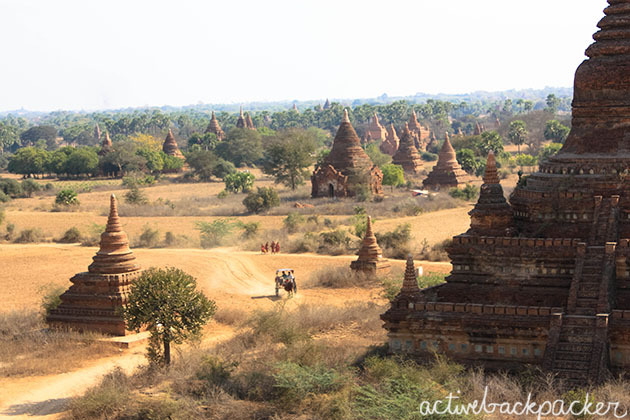 Imagine red, dusty roads and a horizon on all directions silhouetted by thousands of ancient Buddhist temples. Some are in ruins and completely empty, waiting to be explored. 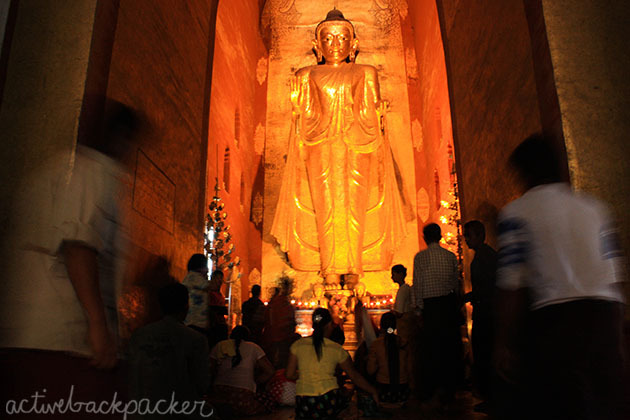 Others are still as grand as ever, huge golden Buddhas nestled serenely within. Some are climbable and lend you jaw-dropping views of gorgeous pink hued sunsets, others are better suited for the early morning sunrise. Gaze on as hot air balloons ascend slowly and skim the sky above the staggering temple vista. Got your camera? I hope so. 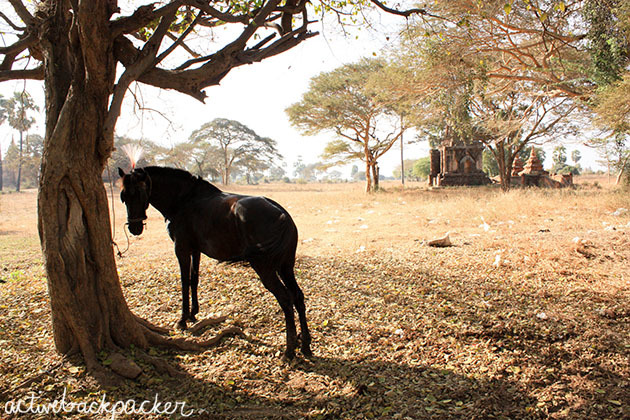 Monks stroll through the temples, as a horse & cart winds its way through the dust. 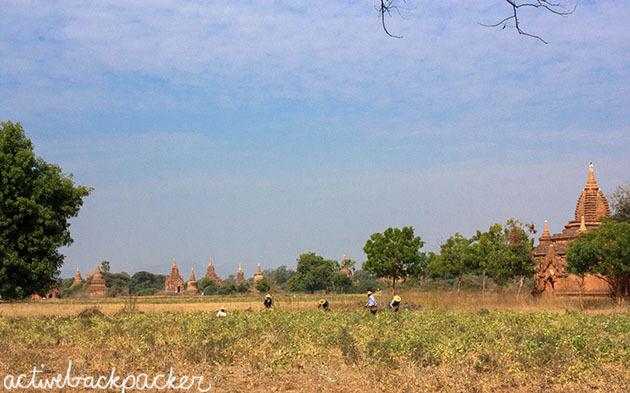 We were in Bagan for 4 nights in total, and we rented bikes for 3 days to give us a chance to explore this Myanmar gem. 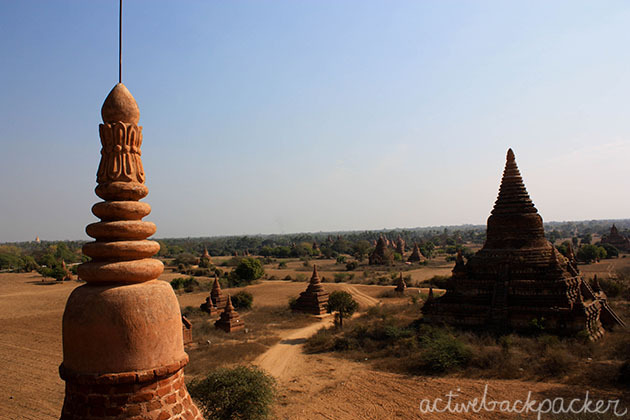 To give a brief historical account, Bagan is all about the temples. 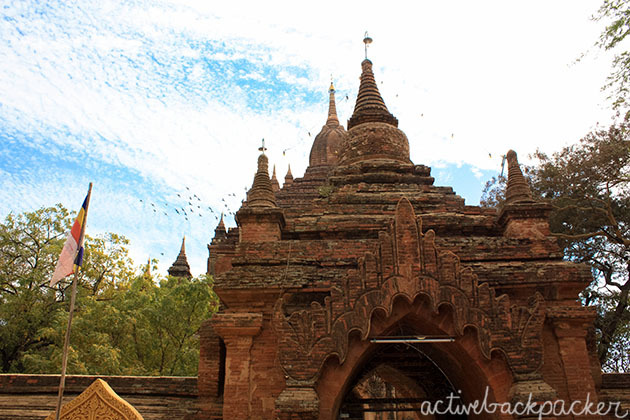 Between the 11th and 13th centuries, the Bagan (the capital of the Pagan Empire) built over 10,000 temples. Today, almost 2,300 temples remain – almost all of which can be explored to your heart’s content! 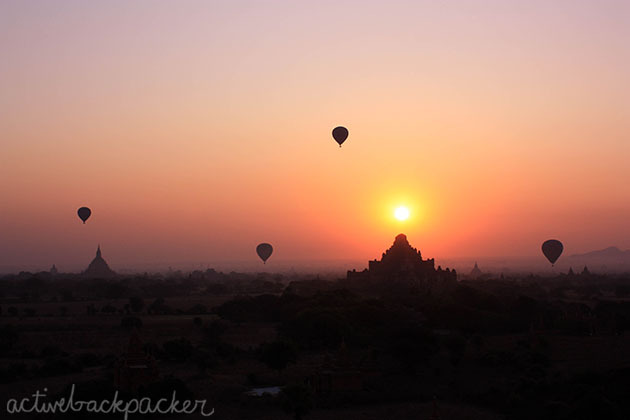 Trust me, after Bagan you’ll be templed out, but the adventures that precede that point will be forever memorable. As we rode around, it was a normal affair to pass clickety-clopping horse and carts, old motorbikes manned by locals would beep as they whizz past, sending up faint trails of dust to puff amongst the balmy air. 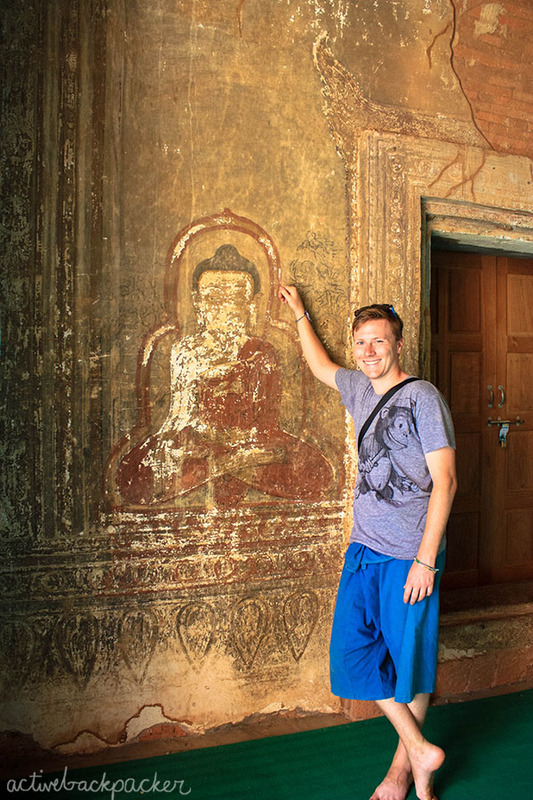 Wandering the myriads of temples is certainly one way to pass your time in Bagan, but let me tell you about the tofu – yep, the tofu. Buddhism still plays a huge role in day-to-day Myanmar life now, as it did in the past. Expect to see Buddhas of all shapes and sizes, huge golden and glorious statues and small and ancient picturesque artworks. It was possible to climb many of the temples, which was awesome as this lent stunning views across the plains, where the thousands of temples are scattered willy-nilly. Trudy even found time for a spot of Yoga. Since my Yoga skills are poor at best, I had to settle for some jumping. A flag flies lazily in the heat, as a flock of birds soar above this crumbling beauty. The locals of Bagan were a friendly, hard-working bunch. If you’re going backpacking to SE Asia, Myanmar deserves to be on the list along with the Thailand/Cambodia/Vietnam trinity. 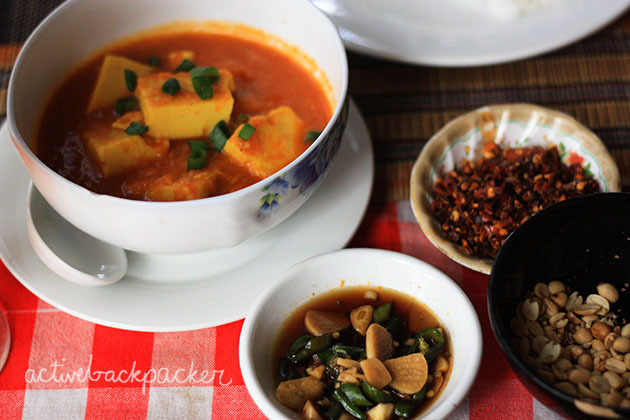 It’s not as “easy” to travel as Thailand, but the rewards are worth it. You know the lovely thing about bloggers is they show places others may not have thought about. Thanks for the insight to Bagan.. I’ve added to my vocab! Nice Jo! Yeah Bagan was great. Glad to hear we helped put it on your travel-radar! Great pics. I am just thinking about a trip there right now so this was timely. Now I definitely want to go. Wonderful pictures. Its looks like an arab country. 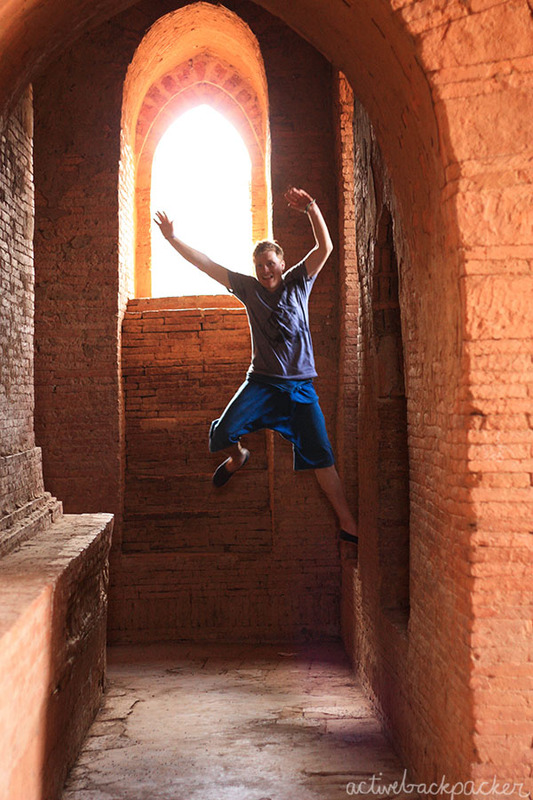 I just got back from a month in Myanmar and visited Bagan for a few days. There are a lot of really incredible buildings and the sheer number of them is impressive. 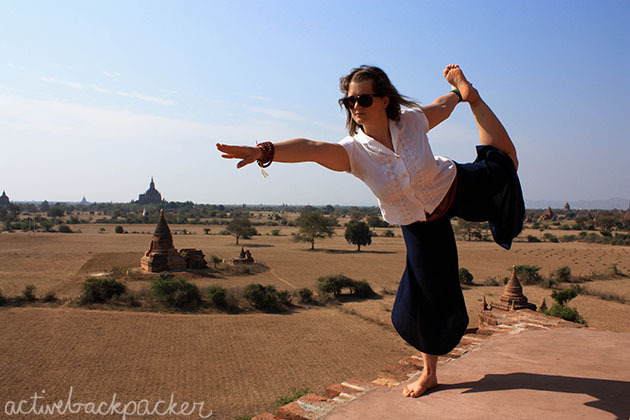 I was born and raised in Myanmar, but I’ve only been to Bagan once, for one full day. I can’t wait to go back and travel across the country for a few weeks. I suppose it remained so well-preserved, because Burma/Myanmar stayed rather closed from the rest of the World. Pretty much like Cuba did.